Why Buy A Certified Pre-Owned (CPO) Or Used Car From Bob Moore INFINITI? Wondering what makes us the preferred luxury dealer for drivers from all over the area? The short answer is trust. Luxury drivers from Edmond, Norman, Oklahoma City, and all over Oklahoma know that when they shop at Bob Moore INFINITI, they’ll get more than a great car when they choose a Certified Pre-Owned INFINITI or a quality used car. They’ll also receive exceptional customer service every single time they stop by. Visit us today and experience it all for yourself. One visit is all it’ll take to discover the difference. Our new, CPO and used car dealership in Oklahoma City proudly serves drivers from Norman, Edmond, Shawnee, and the surrounding areas. Stop by today and let one of our friendly and knowledgeable sales associates help you find the perfect car, crossover or SUV from our selection of Certified Pre-Owned vehicles. We have a premium selection of CPO INFINITI models that benefit from INFINITI CPO Program, and we’re sure you’ll find one that is perfect for your needs. In order for a pre-owned INFINITI to be considered for the CPO program, the vehicle must be meticulously inspected, be less than 6 years old, have less than 70,000 miles, have a clean title and a CARFAX® Vehicle History Report. Once INFINITI certifies a car, crossover or SUV it backs it with great benefits so you can enjoy the luxury of the INFINITI name and the value of a lower price. Ready to get behind the wheel of your next luxury CPO INFINITI? Stop by Bob Moore INFINITI today and let us help you get started. Our new, CPO and used car dealership in Oklahoma City proudly serves drivers from Norman, Edmond, Shawnee, and the surrounding areas. Smart shoppers from the area know there’s only one choice when it comes to looking for used cars in Oklahoma City, and that’s Bob Moore INFINITI. With an extensive selection of quality used compacts, sedans, trucks, vans, crossovers, and SUVs available at the dealership, plus additional inventory available through nearby Bob Moore dealers, shoppers can enjoy even more quality and convenience. If you haven’t done so already, take a quick look at our online pre-owned inventory now to and shop from our selection of quality used vehicles from top brands like Honda, Toyota, Nissan, Ford, Subaru, and even luxury brands like MINI, Audi and more. Prefer to come in and see it all in person? No problem our helpful sales professionals will be more than happy to help you. We also have finance professionals on staff to help you get behind the wheel of a quality pre-owned that you’ll love while staying within your budget. 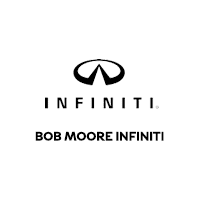 Whether it’s a luxury Certified Pre-Owned INFINITI SUV or a sensible quality used sedan – or you still haven’t decided – make the right choice by stopping by Bob Moore INFINITI today. Once you visit our new, Certified Pre-Owned and used car dealership in Oklahoma City, you’ll see why more drivers from the area choose us for their automotive needs. Our new, CPO and used car dealership in Oklahoma City proudly serves drivers from Norman, Edmond, Shawnee, and the surrounding areas.